DVSI’s hardware products provide high-quality, low data-rate, voice compression solutions that are available off-the-shelf and require no up-front licensing fees or royalties. All hardware products incorporate DVSI's patented AMBE+2™ Voice Compression Algorithm and can operate at virtually any data rate from 2.0 to 9.6 kbps. 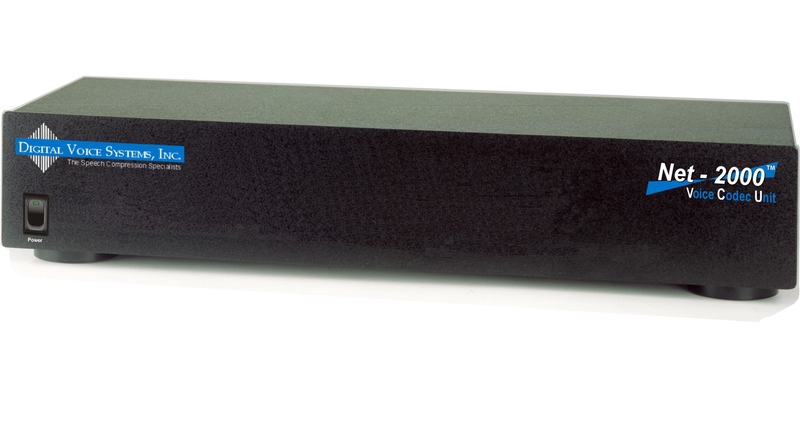 With this high degree of flexibility, speech and FEC rates can be optimized to provide excellent voice quality with superior robustness to bit errors and acoustic background noise. All products offer number of advanced features, including error correction, DTMF tones, echo cancellation, scalable data rates, soft- decision coding and voice activation/noise insertion. DVSI’s line of hardware products is designed so that original equipment manufacturers can cost effectively integrate DVSI’s AMBE+2™ vocoder technology into production of low-volume, high-performance communication equipment that is affordable and inexpensive to operate. The AMBE® voice compression algorithm's low complexity allows it to be fully integrated into low cost, low power integrated circuits. DVSI's vocoder chips provide a high degree of flexibility in selecting the speech and FEC (Forward Error Correction) data rates. The vocoder chips maintain natural voice quality and speech intelligibility at rates from 2.0 kbps to 9.6 kbps. 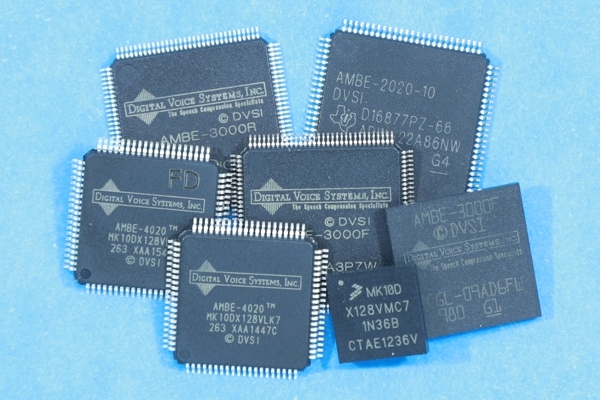 DVSI's Vocoder Chips are used in applications throughout the world, including digital mobile radio and other wireless communication systems. Click on the application note to view or download. 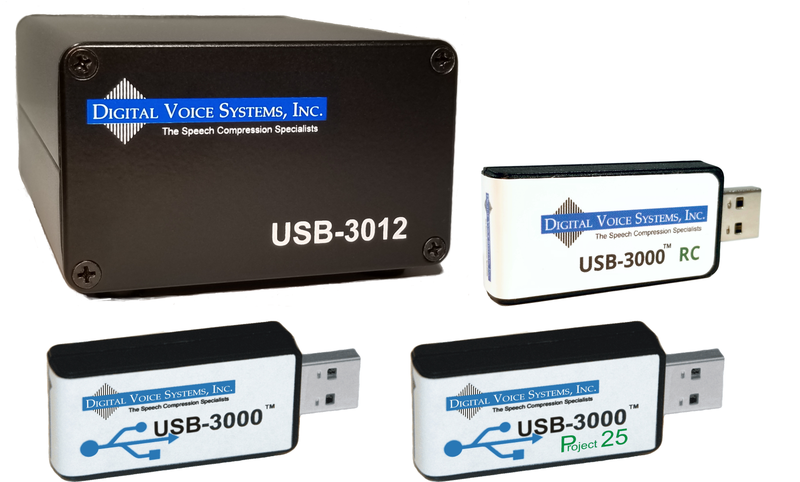 The Digital Voice Systems, Inc. (DVSI) USB-3000™ is the perfect combination of the AMBE-3000™ Vocoder Chip with a USB interface. Connect the USB-3000™ to a Windows-based PC's USB interface and get direct access to DVSI's AMBE-3000™ Vocoder Chip. 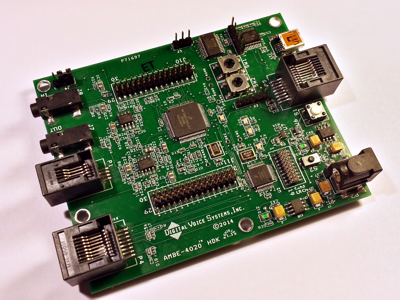 Hardware Development kits are available as a comprehensive, evaluation, test and development platform that helps product designers and manufacturing engineers gain experience with DVSI's AMBE-4020™ or AMBE-3000™ vocoder chips. The Net-2000™ (VCU) incorporates DVSI's voice compression technology to bridge analog speech I/O to an Ethernet network. There are various versions of the Net-2000™-VCU that support a variety of vocoders used in voice compression digital communication systems.